Where to begin. Every culture has a story about How It All Began, and the stories are all different. 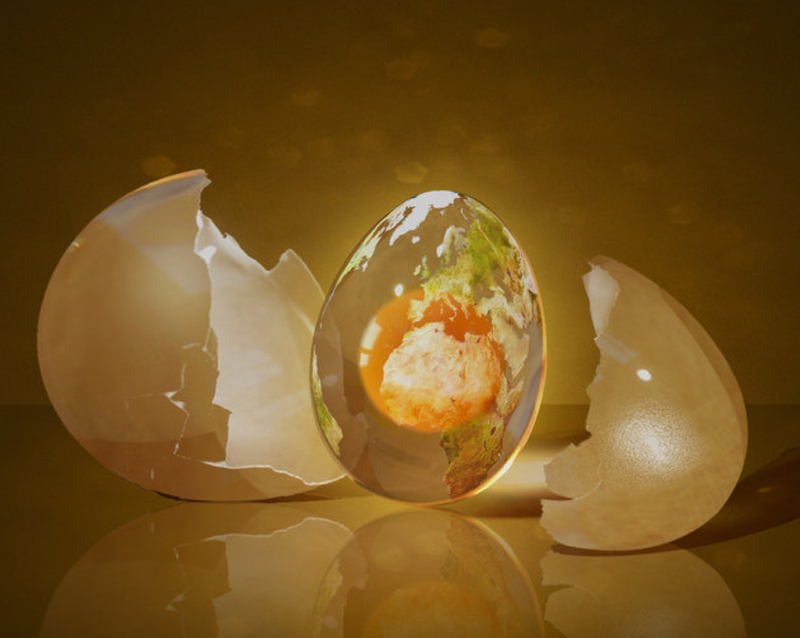 A single god creating the world in 6 days, another world evolving over eons, a committee of gods in a joint project of creation, the world hatching from an immense egg, Each story is considered the highest, unimpeachable truth, and parts of the story will permeate the culture. As everyone knows, our country is divided over creation stories. Science presents us with the Big Bang and Western religion gives us the 6 day creation. We struggle over the identity each tale provides. I’m going to tell you of a wonderful instance where science and religion tell the same story - but I’ll have to give you background first, and it will take a while. Last week we had two experiences that were very engaging.. We saw the film « Particle Fever » about the Large Hadron Collidor and the search for the ‘magical’ Higgs Boson, and we went to see Yoga: The Art of Transformation, an exhibit at the Asian Art Museum in San Francisco. I think I’ll start with physics, if you will bear with a poet's attempt at comprehension. The Big Bang. The world born out of a cataclysm, and the background microwave radiation left over from the explosion that is said to prove it. Physics has a Standard Model that has tried to unite Einstein's Theory of Relativity with Quantum Field Theory, which is a description of the tiniest of our worlds. The result is a mysterious prediction - anti-matter. Enter Supersymmetry to account for this strange phenomenon. That theory proposes that for every particle (proton, neutron, etc), there is a 'superpartner'. Another problem that physics hadn’t solved was what makes stuff - what makes mass, what gives substance to particles? Scientists thought it was another particle, called the Higgs Boson, and they might find it if a huge SuperCollidor was created. Beams of protons would collide, at almost the speed of light. Particles would explode as they did after the Big Bang, replicating the conditions immediately after the event. 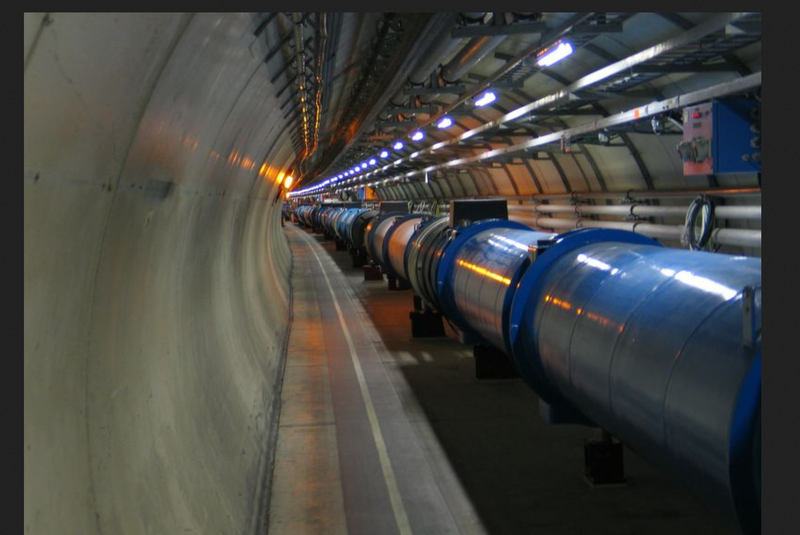 So, to continue our story: the Large Hadron Collider was built, and the Higgs Boson was found, and that was the big story that appeared in all the newspapers and hundreds of Internet sites. But it was only part of the story. 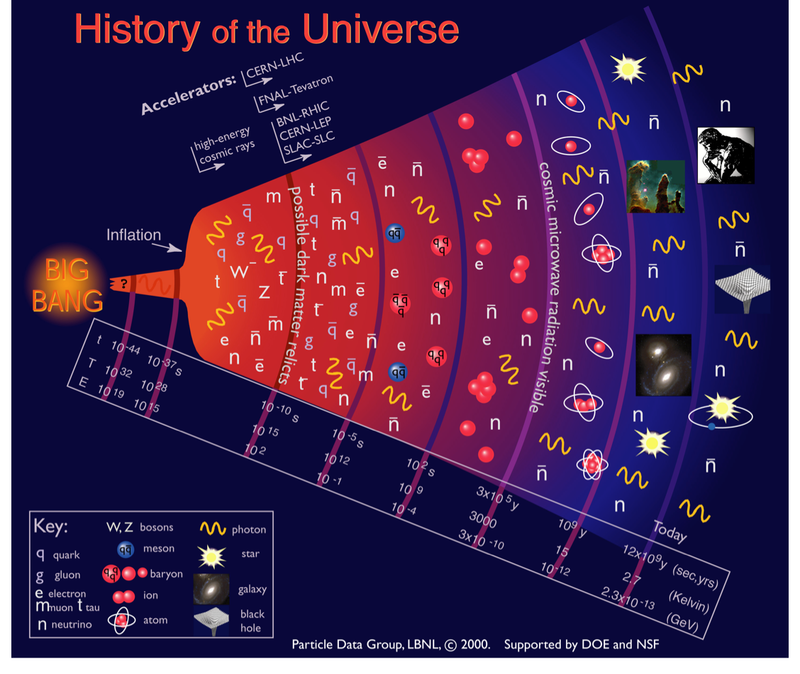 In fact the Standard Model was now in question. More background: The Standard Model is based on the universe we live in, and governed by equations - the elegant, beautiful, pristine model that Einstein believed we would find. Some said our universe was actually set up for life to occur, others that it was not only set up for life to occur, but « It knew we were coming ». (Freeman Dyson). Not only a world perfectly tuned to life - but consciousness, said the metaphysicians among the physicists, may be as natural a feature of our world as time and space. But that seemed to raise the need for a Creator, an argument for Intelligent Design, and that is not an option for science, so the only other option was - worlds upon worlds! 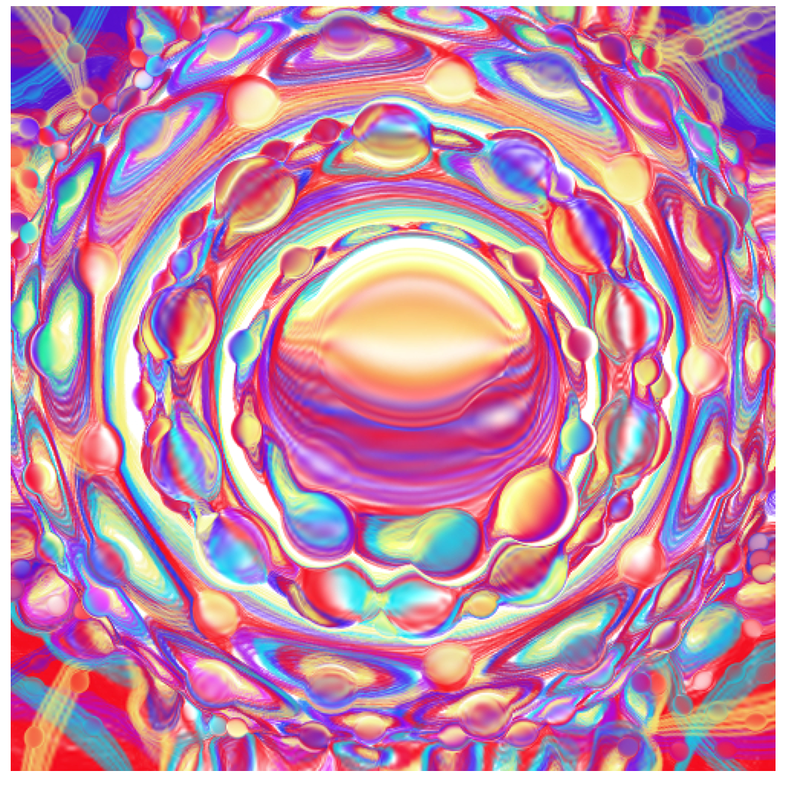 Andrei Linde and others proposed a multiverse - an infinite number of universes. If there were infinite numbers of universes at least one, if not more, would support life, they reasoned, so there is no need for a creator. There would be no possible connection between these worlds. Each one would have it’s own mathematical constants, its own laws perhaps, or maybe there were different constants within the same universe. No universal law, no Theory of Everything. But how can we imagine this multiverse? How to describe it? Michio Kaku, a theoretical physicist, announced that « Our Universe could be just one bubble floating in an ocean of other bubbles ». Now, back to the SuperCollidor. If those magic superparticles predicted by Supersymmetry didn’t show up during the Collidor’s collisions, they probably did not exist. If they didn’t exist, it might be the end for Supersymmetry (still with me?) 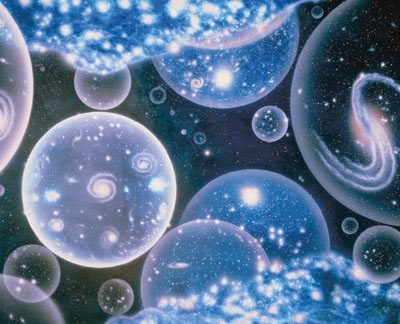 The multiverse would be the model to go forward. There were no superparticles found. Maybe at higher energy levels, maybe in the future, but that was only a very small maybe. In the film physicists watch the Standard Model begin to disintegrate like particles colliding in the cosmos. One researcher speaks of 40 years of work - disproved. For others it was a revelation, an understanding that there would (hopefully) be more revelations ahead, and it was time to move on. And I will also - to India. 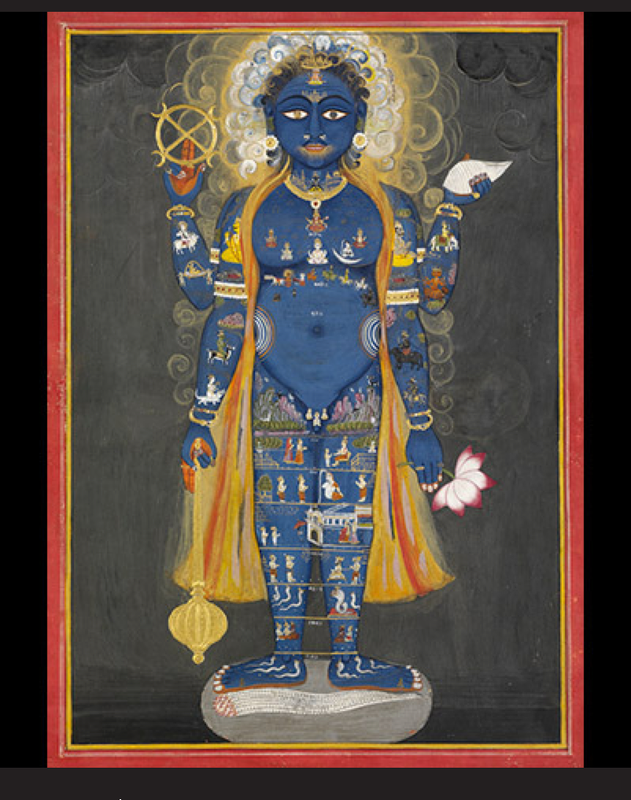 It was a revelation to enter the exhibit of Indian art, and the world of Brahma and Krishna, Shiva and the devas, yogi and Sufi. 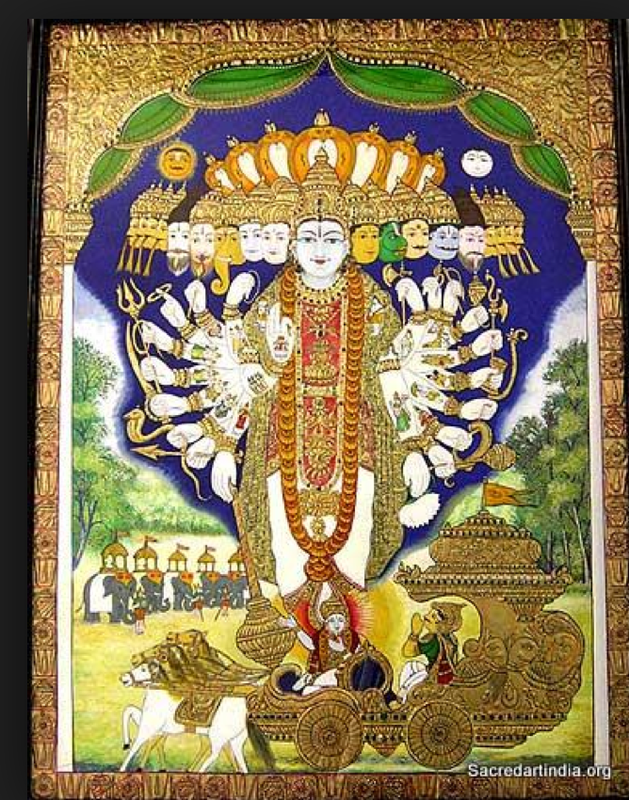 In the Bhagavad-Gita, the Song of God, Krishna responds to Arjuna’s desire to see Entirety: "My dear Arjuna, O son of Prtha, behold now My opulences, hundreds of thousands of varied divine forms, multicolored like the sea." Bhagavad Gita, Chapter 11, Verse 5. There are several creation stories in Hinduism, but creation is always vast and the time scale is endless. The world is cyclic - creation and destruction, creation, preservation, destruction. It has happened a million million times, and time has no end. And there are multiple universes. Seven dimension below and seven above - a multiverse of intention, operated by platoons of gods in a state of transcendence. The practice of yoga would allow humans that transcendence, that ultimate bliss - the answer to the problem of suffering, which is the ancient and ongoing ordeal of India. The subtle philosophies of India have been elaborated by a forest of sages, rising above the undergrowth of ignorance and mystery. One who stands particularly tall is Abhinavagupta, who lived in the 10th century. In his Paramarthasara, he describes the workings of the universe, which correspond to the fields and forces within us. This leads him to a conclusion - that there are « numerous universes floating…..like bubbles in an ocean ». There it is - the same words the theoretical physicist used. A convergence. But what is my point? Ha ha, you physicists, India had the answer a millennium ago and they didn’t need a ten billion dollar Large Hadron Collidor to do it? The ancients possessed greater wisdom then we do? No. Not my point. I do believe that traditional cultures have much we must learn from in order to survive the calamities that are predicted for the future. I do feel that industrial civilization may well be the downfall of the planet, and I do believe that applied science has created products and processes that are harmful to us. But I am awed and made (irrationally?) hopeful by the idea that ancient understanding and modern theory can converge. I think that a coming together of the ancient and the scientific might be our only hope, if only that convergence was someone or some government’s priority. I think of our friend Nathaniel’s 18 months in Africa learning local cultivation practices, and the knowledge he is gaining from advanced study in health, social and biological science. He hopes to return to Africa in order to apply this new knowledge to what communities already know, in order to create sustainable solutions for their future. A true convergence. Multiversity.